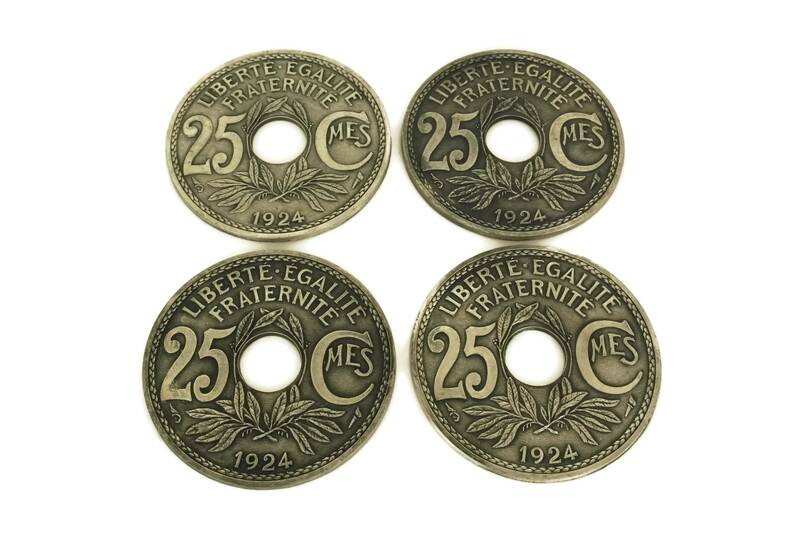 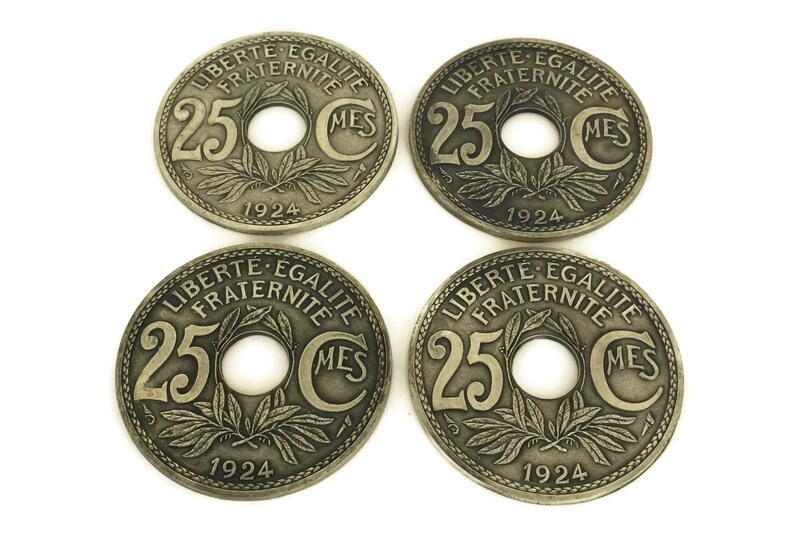 A set of four vintage French coin drink coasters made in France in the 1960s. 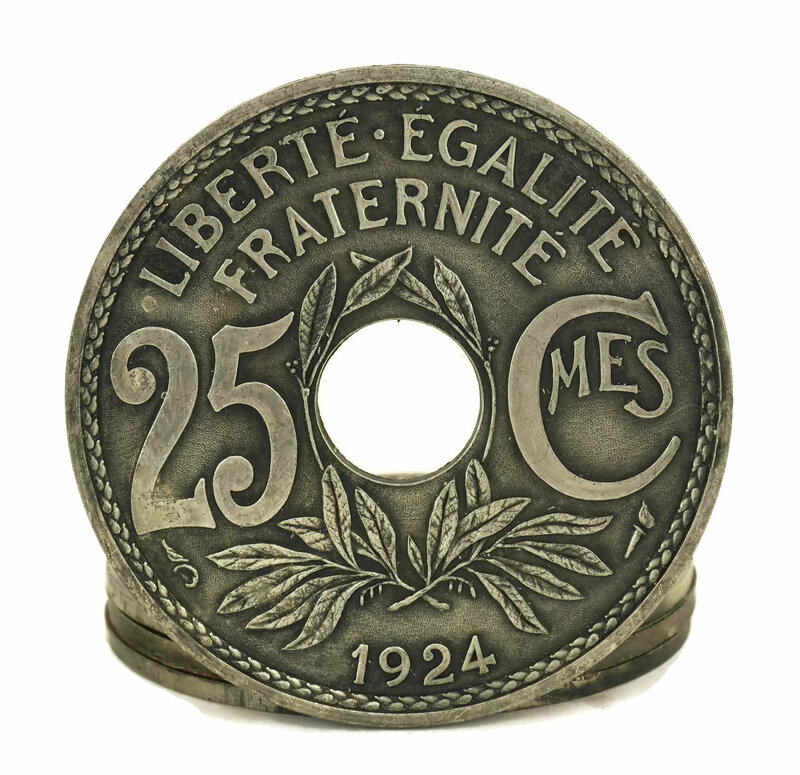 Each bottle rest has been made from silver tone metal in the shape of a 1924 Lindauer coin of 25 centimes. 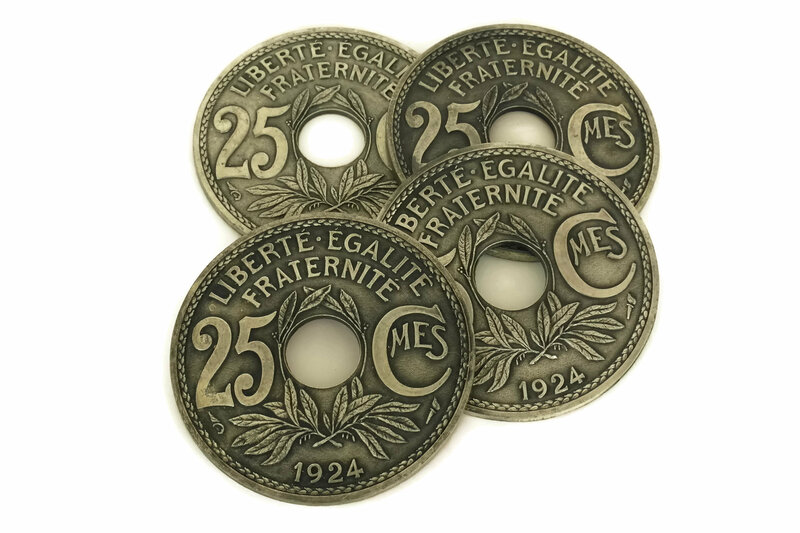 Each one has the motto of the French Republic motto: "Liberté , Egalité , fraternité " (freedom, equality, brotherhood) and the date 1924. 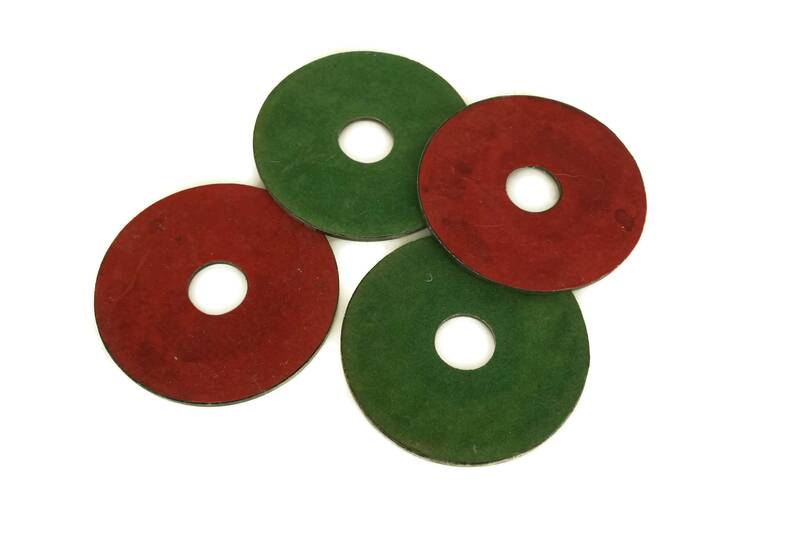 The undersides of the bottle coasters are lined with red and green sueded paper to protect the table top surface. 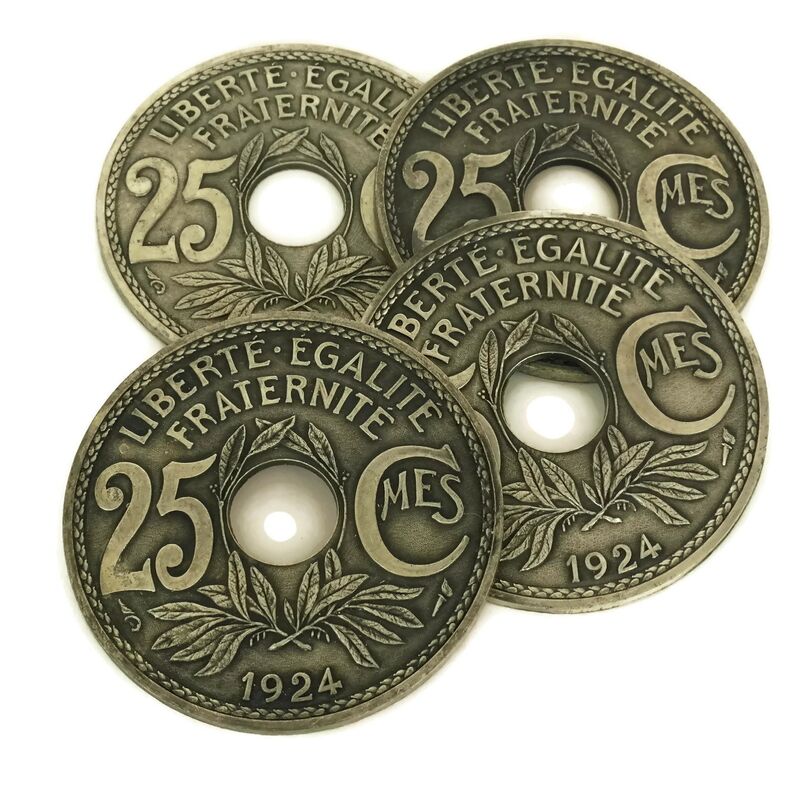 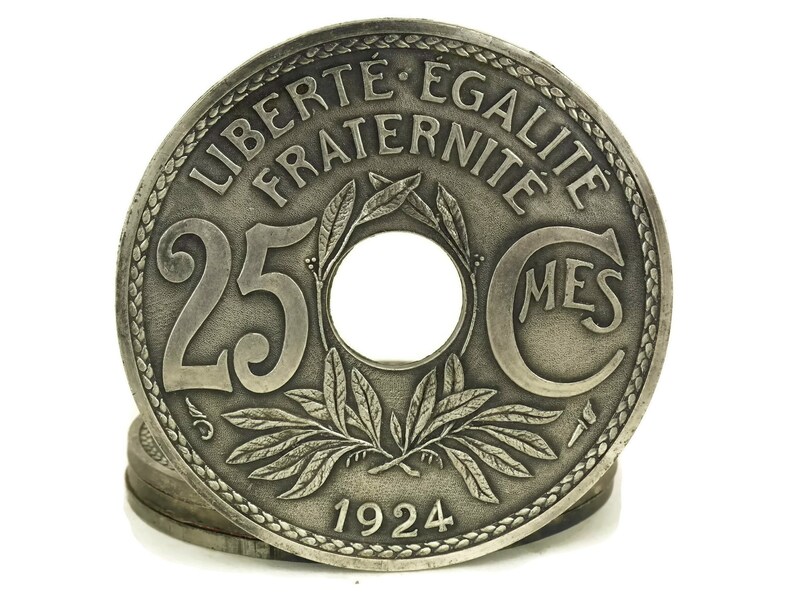 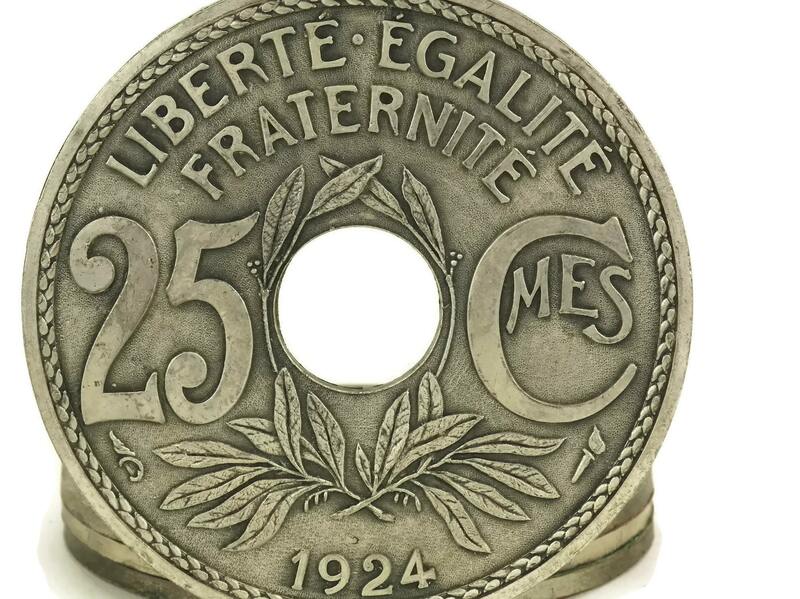 They will add a stylish French touch to your bar decor or will make a great gift for a numismatist. 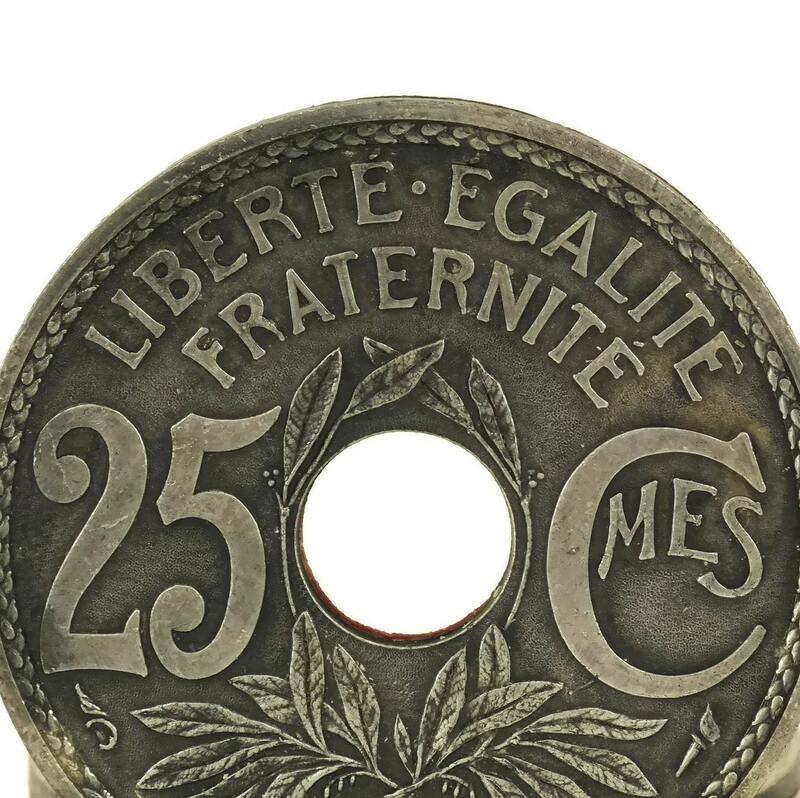 4 1/4" in diameter (11 cm). 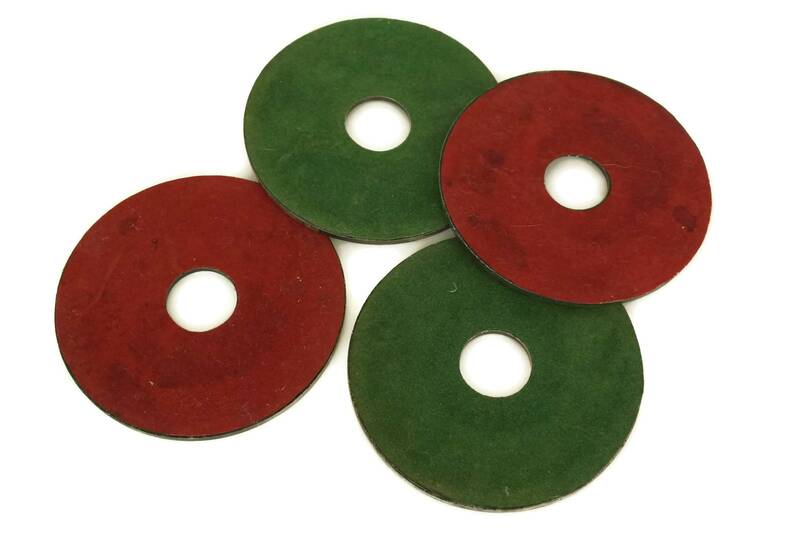 The set of four bottle coasters is in very good condition with light signs of age and wear including patina to the metal and marks on the velvet lining.